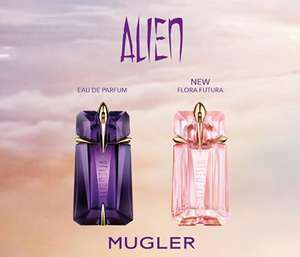 Thierry Mugler is giving away free samples of the new Alien perfume; Alien Flora Futura Eau de Toilette and Alien Eau de Parfum - there's a sign up form on their facebook page. Yep that is all it is - very disappointing. Not quite sure about signing up through Facebook. Deal posting newbie! This is MatttLondon first deal post. Help out by leaving a posting tip or just to show your appreciation for their contribution.